Even after pouring huge amount of time and energies, if you found it difficult to grab a good audio processing tool then AoA Audio Extractor Platinum 2.0.0 could be the one for you. It’s an incredible package for various applications, such as Audio Converter, Audio Extractor, Karaoke Song Recording, and Sound Recording. All these four utilities aid you in performing several audio functions like listen to your favorite music file compatible with your media device, and record your most liked song from different sources. The output obtained using these tools are of good quality, which is aided by their excellent performance. The tools included within the package support processing and extracting audios using several formats file such as AVI, FLV, Youtube, MPEG, WMV, DAT along with MOV, 3GP, MP3,AC3, iPhone Ringtone, etc. With the AoA Audio Extractor Platinum you’re shown a modestly designed interface that includes four icons relating to the integrated tools. The first tool of the audio package is Audio Converter that allows you to convert audio file formats from mp3 to wav, mp4, and iPhone Ringtone; wav to ogg; ac3 to mp3; wma to mp3; and even more. Simply add the files, select suitable output format, set relevant configurations, edit clip if required, and finally carry out the conversion. The second utility in the queue is Audio Extractor that extracting different format audios from video format files, as avi to mp3, avi to iPhone Ringtone, YouTube/flv to mp3, mpeg to wav, avi to ac3, etc. The next tool of the pack is Karaoke Song Recording that facilitates mixing music with voice from mic into wav or mp3; capturing audio from chosen audio device; changing voices to male, child, or female; and pause or resume the audio recording anytime, along with several other tasks. The last program that it includes is Sound Recording that supports recording audio from supported source audio devices; capturing audio to wav or mp3; altering audio pitch; recording audio from input audio pin; in addition to different other functions. 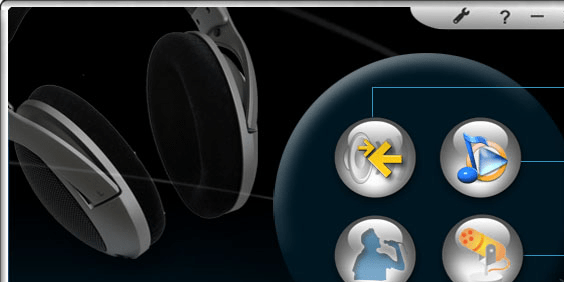 AoA Audio Extractor Platinum provides you with four adept utilities that help you process audios in a different manner. Owing to the wonderful feature-set included within the tools and their fantastic functioning capability, the package is assigned with 4.5 rating points. That`s my opinion, the best audio extractor available today, so as of 5 stars judge its performance and functionality.